Born in 1893, Leonard Young was a son of Robert Downes Young and Mary Ann Hughes. The Young family originally lived on Coleraine Road, Hamilton but by 1914, they had moved to Clarke Street and Robert was operating a livery stable from their home. When Leonard was around seventeen, he had a job delivering mail on his bicycle. His route would take him as far as Hochkirch (Tarrington) and that’s where he was returning from on 9 December 1910 when he hit Mrs Sharrock of Mount Napier as she crossed Gray Street just past the Victoria Hotel. Leonard was thrown from his bike but fortunately, both escaped with only a few bruises. Another accident came in 1913 while Leonard worked a horse for his father. The horse slipped and Leonard was dislodged from the saddle. He clung to the reins but had his arm trodden on by the horse. Leonard received a compound fracture to his arm between his elbow and shoulder. Soon after, Leonard began working for the railways. In August 1915, Leonard enlisted just weeks after his younger brother,eighteen-year-old Clarence but Leonard departed overseas two months before Clarence. The two, however, would come together in the 8th Battalion. Leonard arrived at Serapeum, Egypt on 24 February 1916. The 8th Battalion moved from Egypt to France. Was in hospital with mumps in St Omer during May before rejoining the battalion on 11 June 1916. The following month the battalion was part of the Battle of Pozieres from 23 July 1916 to 7 August 1916. Eighty-one members of the battalion were killed during the battle and Leonard’s brother Clarence was among them on 26 July 1916, aged nineteen. Leonard sent a cable message home to his parents telling them the sad news. On 14 October 1917 Leonard arrived at the 2nd Birmingham War Hospital in England gunshot wound to his right thigh after taking a bullet on 29 September. He rejoined the battalion on 10 July 1918 after spending five months teaching first aid to troops in training in England. In October 1918, Leonard spent more time in hospital and it was after Armistice before he rejoined his unit on 22 December 1918. Leonard was discharged on 6 July 1919. He returned to the railways and was working out of Woomelang. 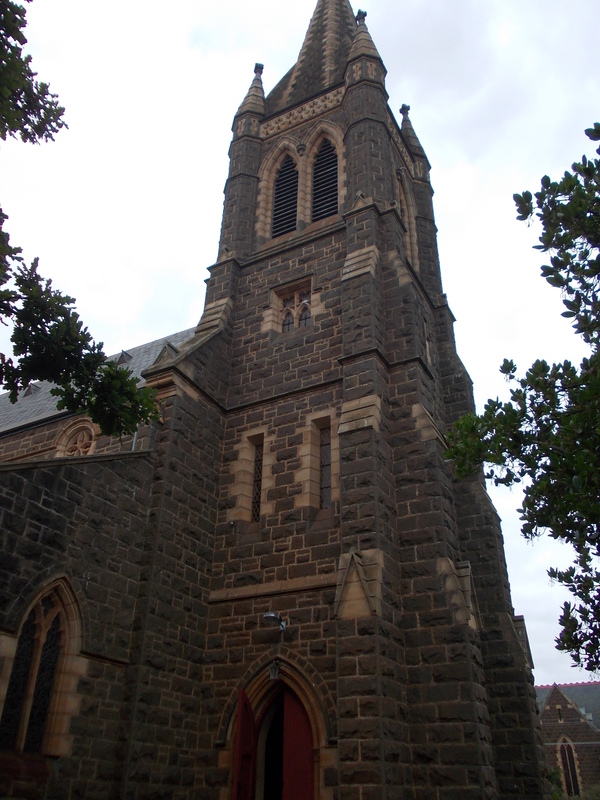 He married Grace Evelyn (Effie) Duff on 10 April 1922 at Christ Church, Hamilton (Below). 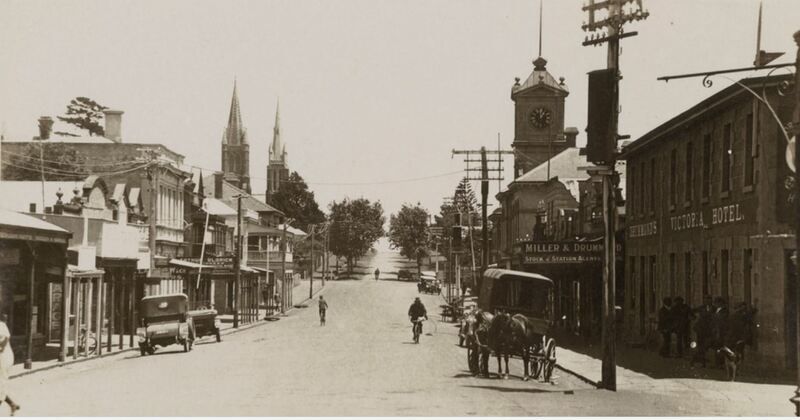 Effie was living in Murrayville at the time but was from the Jung district. By 1936, Leonard was still with the railways and working as a porter at the Heywood Railway Station. On 31 May 1936, while carriages were shunted, Leonard climbed between two of them to couple them and was crushed. Leonard was removed from the crush still conscious and taken to the Hamilton Hospital but died there an hour later. He was aged forty-two and left his widow Grace. Leonard is buried at the Hamilton (Old) Cemetery and remembered along the Clarke Street Memorial Avenue.